The index opened flat to negative but saw profit booking from the onset to move to the lows of the day around 7827 but value buying saw the index close just above at 7855.05, loss of 44.25 points. The broader market was weak with 564 advances to 1007 declines. The range till expiry comes to 7700-8000. Call option 7800-8000 added 19.00 lacs OI with profit booking seen at 8100 and above strike prices. 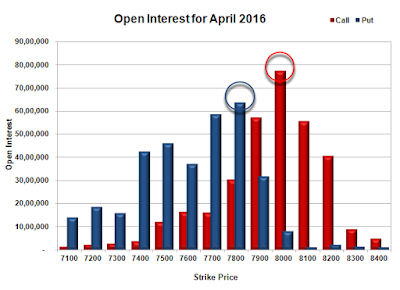 Put option 7700, 7400 added 12.53 lacs OI with short covering seen at 7800 and above strike prices. Nifty Open Interest is at 1,40,05,650 down by 16,80,150, whereas May series added 17.38 lacs with decrease in price, most probably 100% roll-over with small short build-up. Bank Nifty Open Interest is at 18,01,650 down by 1,01,310, whereas May series added 1.28 lacs with decrease in price, most probably 100% roll-over with small short build-up. FII’s sold 406 contracts of Index Futures, which includes net 4497 contracts long build-up and 4903 contracts short build-up, with increase in net OI by 9400 contracts, includes 46571 longs to 46977 shorts for the day. 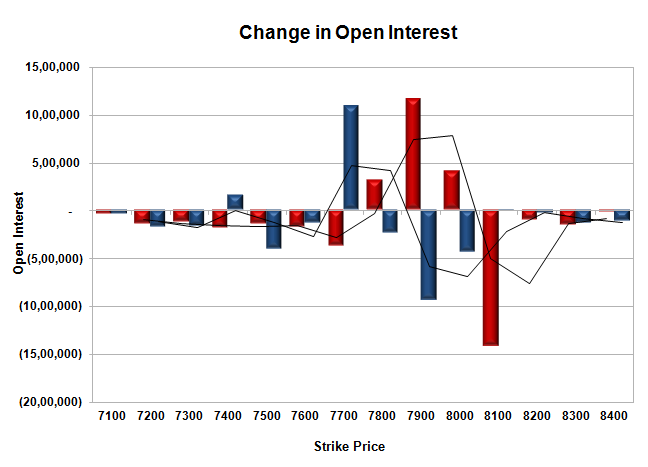 FII’s Index future open contract as on date is 185952 Longs to 86655 Shorts, Net 99297 down by 406 contracts. 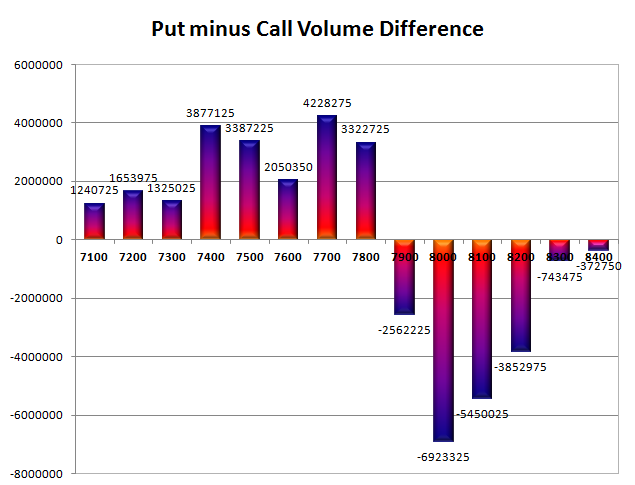 Initial and best support at 7800, with OI of 63.77 lacs and below that at 7700 with OI of 58.56 lacs. 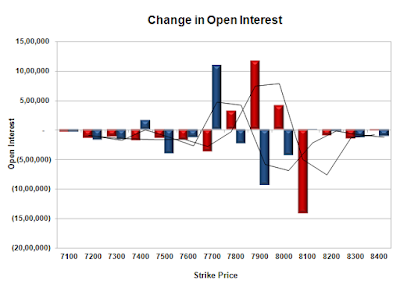 Initial resistance at 7900, with OI of 57.30 lacs and above that at 8000 with highest OI of 77.50 lacs. Day Range as per Option Table is 7799 - 7926 and as per VIX is 7787 - 7923 with 7864 as the Pivot.